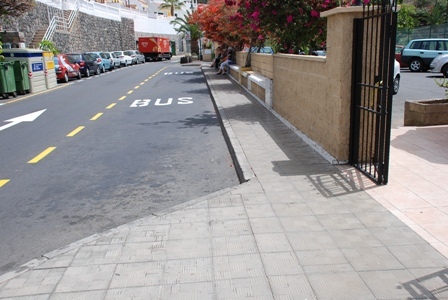 Calle Hibisco which runs past the Sports Centre/Tipsy Terrace and the bus stop in Los Gigantes is due a refurb. The work will take 3 months at a cost of 198,690.64 Euros which will be covered from the Local Investment Fun. The new curbs and pavements will be the same as the new surfaces already laid in other parts of the village.